The lost at sea memorial 'Figurehead' was created in memory of those slaves and free blacks who lost their lives in the ocean. During 18th and 19th centuries, Bermuda's economy depended a lot on the sea. Lot of slaves and free blacks spent their lives on the sea being whalers, fishermen and even pilots. The slaves who worked as crewmen, traveled around the world on merchant boats and privateer ships. Many of them never returned home. There had been many cases when they would have been fallen overboard into the sea by a strong gale or while working on the ships mast. Whaling used to be a lucrative but a dangerous business at the same time. Whales would provide oil, bones and food all together. Usually long whaling boats would take six oarsmen and one harpooner in search of whales. In some occasions the boats capsized and the crewmen lost limbs and even their lives. In 1840, a boat belonging to a black organization Southampton Whaling Establishment, capsized and the crewman Henry Taylor lost his life. Pilots also had a risky life. Bermuda's waters have always been full of treacherous reefs. Navigating the reefs have never been easy, and many blacks were given the job of piloting the ships. In some occasions, strong squalls would drive the boats offshore never to be heard again. In one such instance, pilot William Nights and his six crewmen were last seen in February 1856 heading towards the western end of the island. They could never be traced again although the empty boat came ashore. The FIGUREHEAD Lost At Sea Memorial has been created at the Great Head Park in St. David's Island by the Bermudian sculptor Bill "Mussey" Ming. It was unveiled on November 5, 2005 by the Duke of York. Bus Routes: #6 (operate between St George and St Davids). 1) Check out African Diaspora Trail to know about the other museums and monuments in this great heritage trail of Bermuda that traces the legacy of slavery. 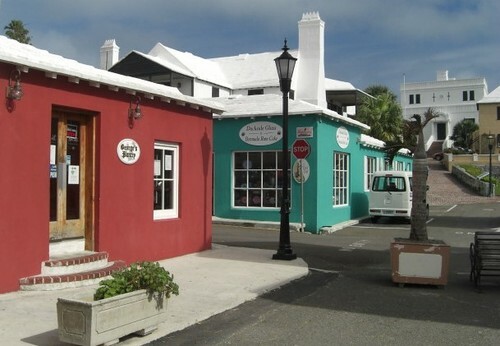 2) Check out St. George Attractions to know about all the attractions in St. George's.